Loves of Life: The 6 Week Bootcamp you always hear me blab about...// Tips, Tricks, Info and Help! The 6 Week Bootcamp you always hear me blab about...// Tips, Tricks, Info and Help! This post is long, long overdue. Last June (2017) I was sitting on my couch in the wee hours of the morning with the early riser of the house (ahem, HATTIE) scrolling my instagram feed. I have no idea how or why but somehow I stumbled upon someone's transformation on Amanda Tress' program, FASTer Way to Fat Loss. I was at a place where I was so bored with a certain way of eating and my workouts that I had become a little lazy--we also had a trip in August for our 10 year to HAWAII. On a whim, without overthinking it a million times I registered for that program and the rest is history. What IS the FASTer Way to Fat Loss in a nutshell? It's a program that implements intermittent fasting, carb cycling, macro counting and innovative and effective workouts (for beginners, gym-goers or those at-home workout people). Wow, that sounds intense. Is it? I admit that upon starting the program, the first thing I do tell people is DO NOT let the information overwhelm you. Once you get going, and truly take it a day at a time, it is SO simple and easy to follow. But at first, it can freak you out. Also, I had never counted a macro nutrient a day in my life and was absolutely sure I couldn't handle it. ---Fun fact: Turned out it's freaking easy and MyFitnessPal basically does it all for you. WHO KNEW! haha. A huge part of the program is our lifestyle of Intermittent Fasting. This means that we eat everyday on a 16/8 schedule. So 16 hours a day our body is in a fasted state (from 8pm at night until 12 noon the next day....so you're sleeping a good chunk of it! ), while eating only during your 8 hour FEED window. Most ladies break their fast 12 noon and eat until 8pm. Others have different schedules and do 11am-7pm, etc. Fasting?!? I will surely die not eating breakfast. Actually, you won't :) After your body adjusts to the fasting schedule you will be so used to it, it truly becomes THE EASIEST part of the entire program. You'll gain your mornings back (no need to worry about making yourself breakfast anymore), and you can even still have YOUR COFFEE. So relax. Things acceptable to have during fasting hours: water, seltzer/la croix, herbal teas (with no sugar), coffee, coffee creamer up to 50 calories only, kombucha (also keep the 50 total cals thing in mind if you drink while fasting!). Why the heck do you FAST? Amanda's website answers this SO clearly so I'm going direct you RIGHT HERE. But the basic gist is, keeping your food to a certain time frame allows you to become an optimal FAT burner. It allows you to maintain muscle mass which speeds up your metabolic rate, while helping you shed fat. Other benefits include: better sleep, more energy, greater mental clarity and the development of more neurons in the brain, along with better digestions and less inflammation. This is basically a fancy term to say that two days a week on the program (Mondays & Tuesdays) we engage in a a LOW CARB day where we eat high protein and high fat, while limiting our carbs to 50 Net for the day. Then, we combine with a Cardio-style workout (HIIT, sprinting, or Tabata...will be provided for you :) ) to deplete our glycogen stores and effectively burn fat. The other days you get to LIFT WEIGHTS! Or do super awesome leg, back, biceps, shoulders, and ab workouts that will totally change your body. You also get to eat at your regular Macro split which means YOU GET TO EAT CARBS! In fact, you'll get to eat a decent amount of them and you're gonna love it. Yes! I love that this program incorporates two rest days (or active recovery...go for a walk, hike-or don't--up to you!) On those days, we just simply watch our calories a bit closer and since we aren't doing a hard workout or burning too many extra calories we keep it a bit lower. Nothing crazy, and not hard at all. Absolutely not. In fact, I think you'll be the opposite. The only time I ever get hungry on this program is just before I'm ready to break my fast, which makes sense. However, during the 8 hour eating window I am NEVER hungry. 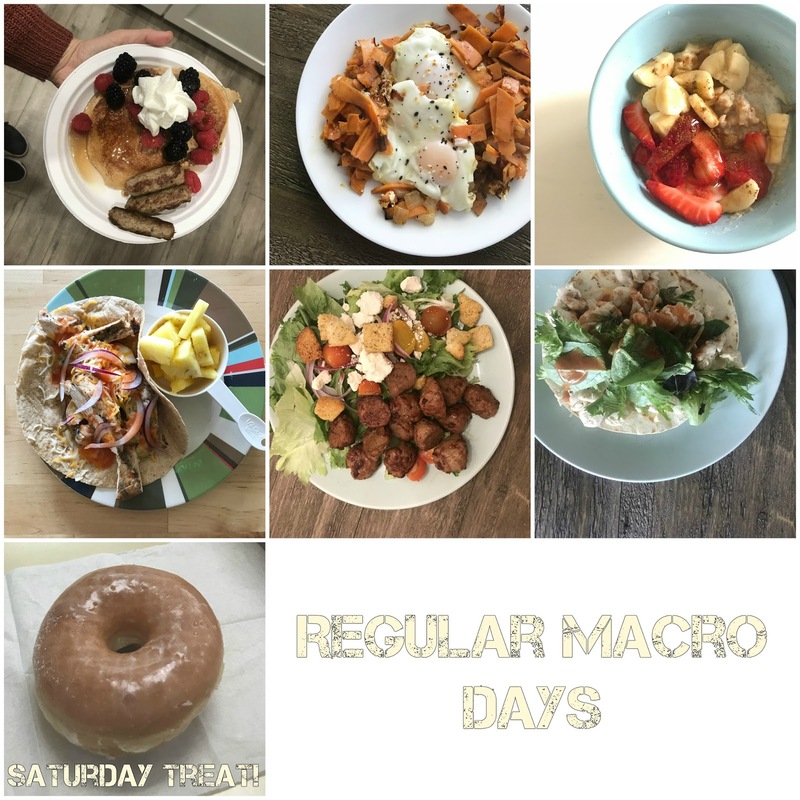 It's not a lot of time to fit in your daily calories/macros, therefore you're kind of eating a lot (of the right things)(at the right time), therefore--you should NOT be hungry. If I do get hungry or just want to munch on something after 8pm, I try to curb that by making some nighttime herbal sleepy tea or something and sipping it while we watch a show. The price seems higher than I'm used to spending, what do I get for my money? I've heard this a lot of times--and to be honest, I had the same hurdle at first. I used money I had stashed away from Christmas the previous year to pay for my first round. Once my world was opened up to this wealth of knowledge from this program and lifestyle, I can tell you that this program is WORTH EVERY PENNY. But you must put the work in. Paying for a bootcamp round gets you access to certified FWTFL Coaches, a Facebook group with daily accountability posts where you report your macros, ask questions, hear from Amanda, etc. It also gets you access to the Portal which is the place that holds all of the daily workouts for each day, the comprehensive nutrition plan, our food cycle chart, and a load of videos and resources. 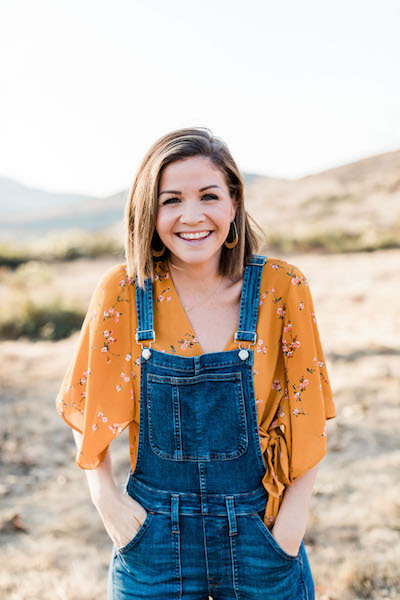 You'll also have a bunch of live calls with the founder and trainer with all her tips, how to set up your MyFitnessPal, how to plan for Low Carb days, etc. -We are encouraged to be as gluten and dairy free as possible. However, I will tell you that I am not sensitive to either of these things and have incorporated (some) gluten and some cheese into my diet in an IIFYM (if it fits your macros) approach since June and have still seen results. You'll see some of these foods in my photos below. -Always try and choose whole foods over processed things. But life happens--so be flexible. -Typically you are encouraged to workout while in a Fasted state (so that would mean MORNING). If this doesn't fit your schedule, that is FINE and the program will still work. I promise you, you will have energy to workout, even in the hardest workouts once your body adjusts to this schedule. I now perform better and stronger while fasted, versus having food in my stomach. -There will never be a "perfect" time to do this. If you're feeling the nudge, just go for it. There will always be a girls weekend or wine tasting or something else---adjust, tweak, make it work. It's not a huge deal! -This program encourages TREATS. In fact, you'll see that the trainer Amanda often posts about donuts :) After our Saturday leg day we pretty much always go and get donuts, too! hah! Listen, depriving yourself never leads to a balanced, happy life. So relax. You can eat all the foods you love on this program, just in moderation--if it fits your macros, and it is MAINTAINABLE. 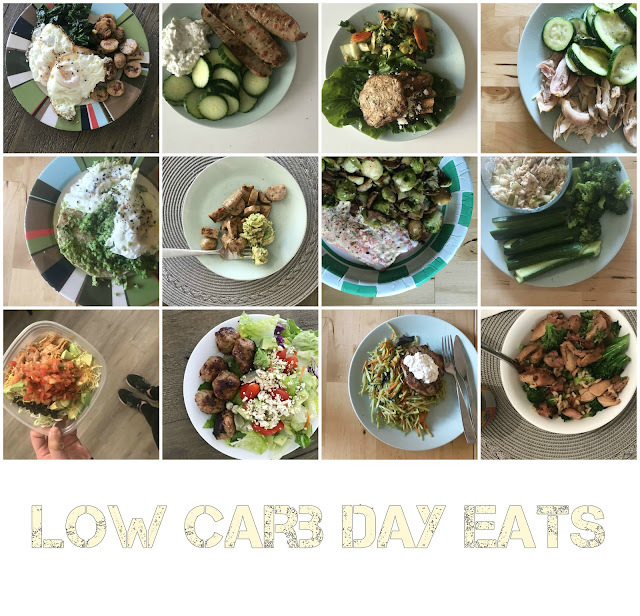 Low Carb Day Tips: On low carb day you get to eat high fat and high protein, so these are the days I tend to eat avocado, sausage, ground beef (also higher in fat then say, ground turkey), add bacon to my salads/vegetables, maybe add peanut butter to my snacks, possibly eat nuts/almonds, etc, add some cheese to my salads or food. Make sense? Look, when I signed up to do this program I wasn't expecting a lot. But I did get a lot. I gained confidence in the gym because the workouts are killer and made me get comfortable on machines. I got stronger. Leaner. More excited about my health. BUT I ALSO HAD PIZZA AND BEER AND DONUTS SOMETIMES. After my round I decided I loved it enough to share it with you and became an affiliate partner. I've since seen so many women take back their health and just feel so balanced and good about themselves by making SIMPLE TWEAKS. 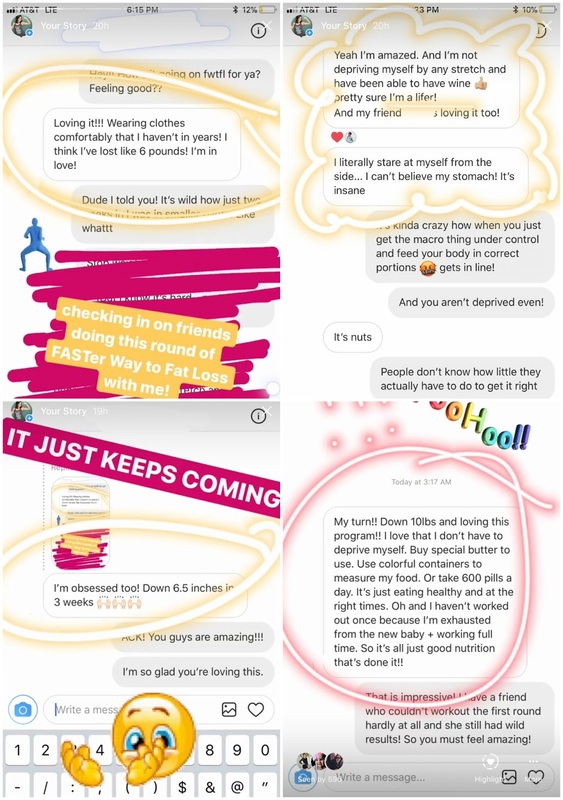 I continue to join the bootcamps every 2 months because I really like the accountability and I love getting the new workouts, having someone to check in on my macros to, and just the community in general. I just love that these ladies are still living LIFE, without being restrictive, and having results. yess.